Are you tied into wearing a suit for work every day? Do you get bored of the same old dark colors and sedate linings? Are you a bit of a comic book nerd? Well, look no further! There’s a new range of fun suits on the market and they are available for pre-order now. 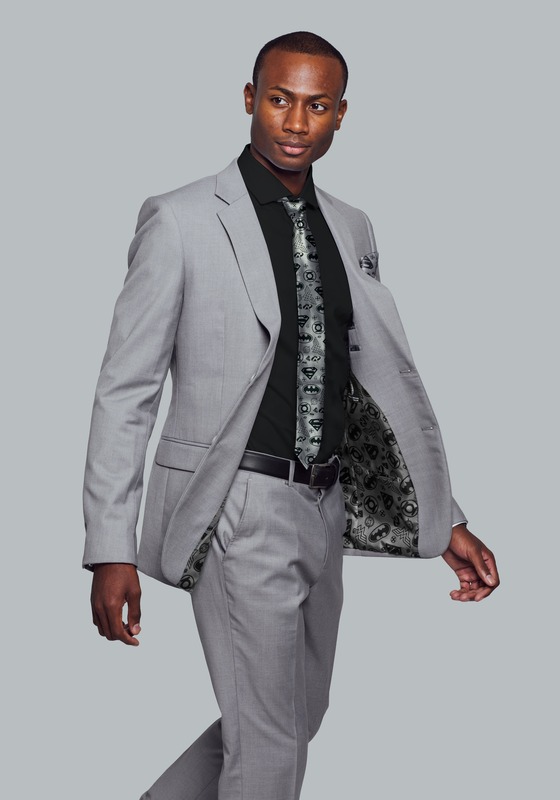 Each suit consists of the jacket, pants, tie and pocket square with the coolest, fun lining fabrics you can imagine! 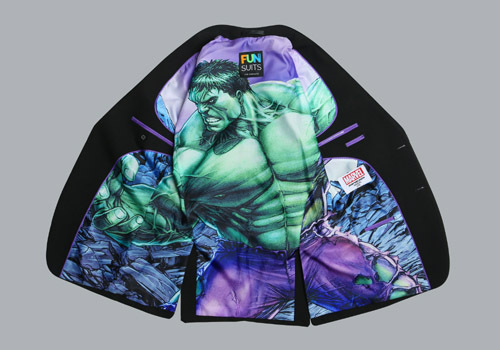 The tie and pocket square matches the lining of the jacket and below you can see what the lining of the Hulk Suit looks like. How much secret satisfaction would you get wearing this cool fun suit to the office? There’s also a tiny embroidered emblem on each jacket cuff, appropriate for each comic book theme. 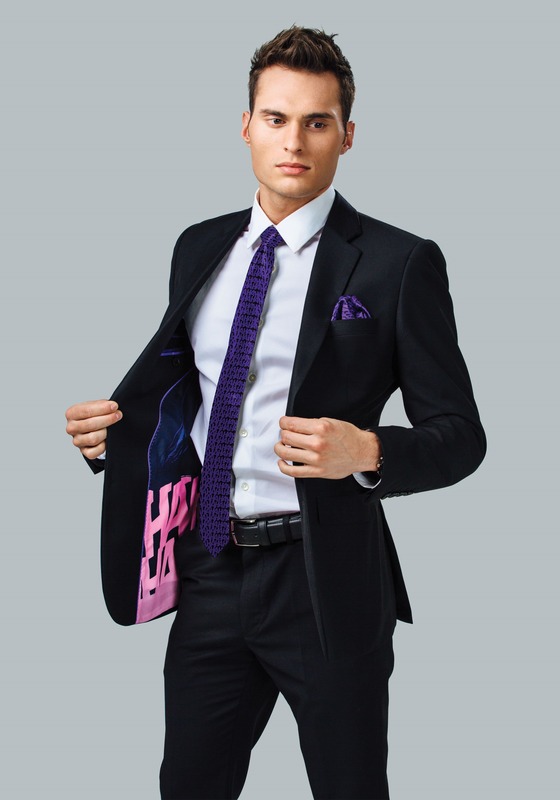 The secret identity suits are subtle but fun for any guy who has to wear a suit. The linings are all comic book themed and match the tie and pocket square. Shown below is the Joker and the Justice League suits but you can choose from many others including a Marvel Comic Strip, The Dark Knight or the Avengers. CHECK OUT ALL THE ADULT FUN SUITS NOW! 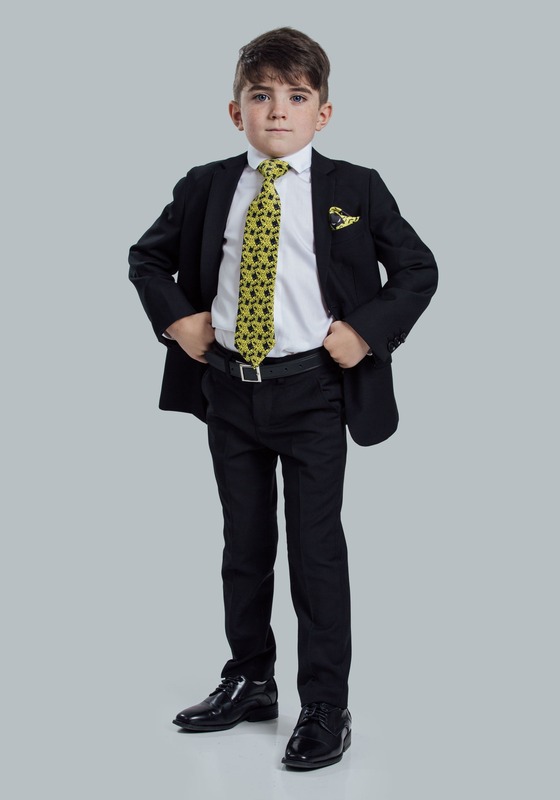 It’s not often kids get to wear suits so why not make it a fun experience for them with these secret identity fun suits? Shown below is the Batman suit and the Spiderman suit but there is also an Iron Man suit too. 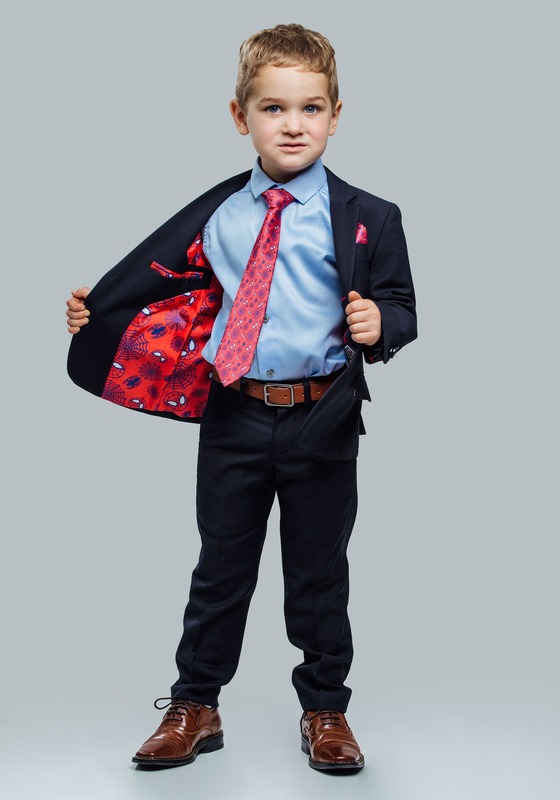 Just like the adult versions, the price includes the jacket and pants with a colorful jacket lining matched by a tie and pocket square. Just click through to see the full glorious color lining and close up images of the tie and pocket square. Your kid will love his secret identity fun suit! CHECK OUT ALL THE KIDS FUN SUITS NOW! If you’re not shy about expressing your comic book nerdiness and need a full outfit for Halloween, then perhaps one of these fantastic suits would suit you! 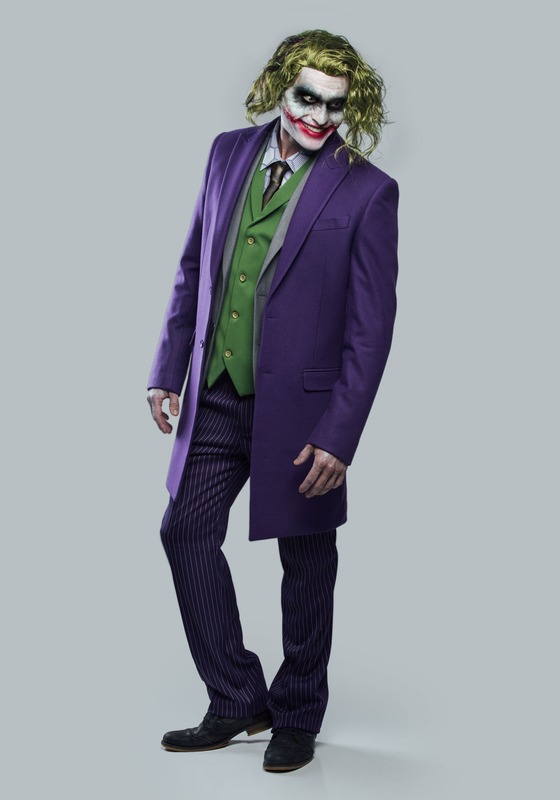 The Joker suit includes the whole outfit – overcoat, jacket, pants, vest, shirt, and tie so it’s a fantastic opportunity to go all out in great Joker style. 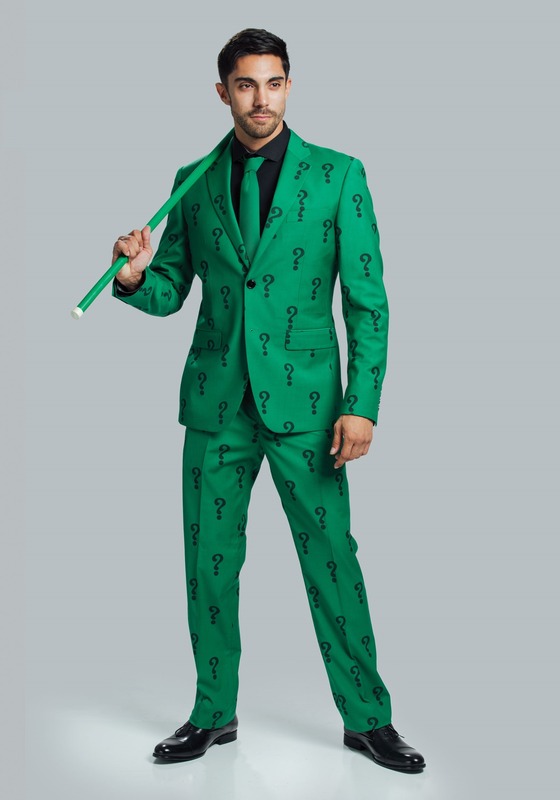 The Riddler suit includes the jacket, pants and tie but if you want to stand out of the crowd, it’s perfect! All these fun comic book suits are currently available for pre-order at a discounted price so don’t wait around to decide or you may miss the sale price! Each order page allows you to choose different sizes for each part of the suit so if you’re not a standard shape and size, you can mix and match to get the perfect fit. There’s lots of different suits to fit all tastes from both DC Comics and Marvel so click through to find your favorite.